Bijostagram (bijo = beautiful lady in Japanese) is a new Instagram mashup from Japan to pick up only photos with beautiful girls. You open the page, then it refreshes periodically. We introduced another Instagram mashup for cats photo, Nekostagram last week. According to Einstein’s no Denwabangou blog [J], there are many of similar category-specific Instagram photo viewer sites appearing by Japanese web developers. Some seem to use tags on photos, others use some algorithms to list up photos. Listagram is an unofficial Instagram related site by Kotaro Chiba, which lists up Instagram photos by specific user. Giving a single URL of the Instagram photo will show the set of photos by the user. You need to set profile if you want to be searched on it. RSS feed will be generated so you may subscribe your favorite Instagrammer. Instastream was inspired [J] by Listagram, made by Yusukebe (Yusuke Wada) [J]. The site shows “a public timeline of Instagram” by using Instagram photo URLs appearing on the Twitter’s public timeline. Precisely speaking, you will see only photos shared over Twitter, but still it is a lot. Both services are said to use unofficial API of Instagram. Instagram is trying to shut off the unofficial API users. As a part of their blue-ray disc recorder promotion, Sony gives away Windows/Mac screen saver on their site. Association with the recorder having an ability to find programmes by user-registered keywords and record them into disc-s (it itself is nothing in Japan as well, just in case), the screensaver accepts a keyword and show the related texts and images in several different ways with music. After installation, when screen saver is on, you may type a keyword to let it work. I tested it with the recent Japanese tumblr meme “Noma-san Douzo”(Enjoy Mr. Noma). As it is noted, Yahoo! Japan Search API and YouTube API are used for this. English words may show a little bit different results from what you see on Google and Yahoo.com then. 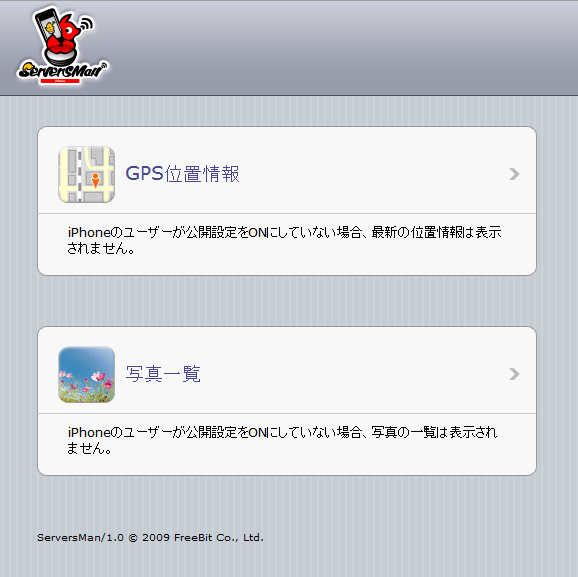 We recently covered Serversman (by FreeBit) on Asiajin, a free iPhone/iPod file/web server application available in the Japanese App Store. About ten days after its release, FreeBit announced that it had passed the 10,000 registrations mark (MyCom article here[J]). 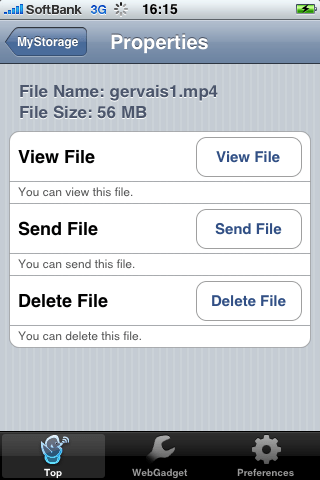 Serversman (opens in iTunes) is similar to other file server apps like Files (opens in iTunes), but it doesn’t require Wifi, or WebDAV, or money (although the first two are supported.) The iPhone interface is mostly in English and the website is mostly in Japanese, but this is sure to change if FreeBit follows through on its plans for a US release at the end of March. Once a file is on your iPhone, you can view it (no widescreen viewing yet), rename it, delete it, or email it to someone in your iPhone’s contact list. This is done remotely through FreeBit’s servers. Unfortunately, it currently doesn’t appear to be possible to send an email to a new contact – you must choose from your existing contacts. Serversman has an interesting web server feature which allows you to share your location, photos, and voice recordings on a rudimentary web page located at http://serversman.net/username-node/ which can be made public or left private (see screenshot below). This data, which is updated in real-time, can be mashed up with other web services using (currently only two) XML files: gps.xml, and photos/photos.xml. 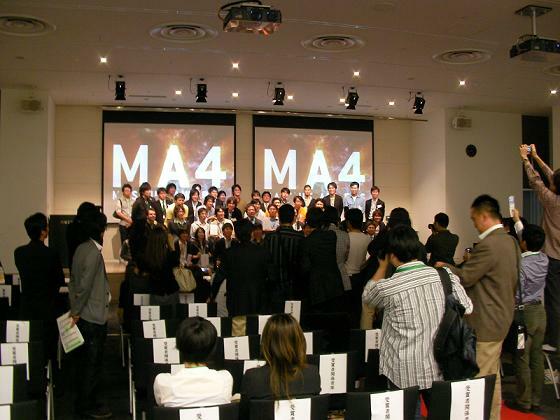 On Sunday, 19th October, Mashup Awards 4 , Sun Microsystems Japan and Recruit‘s [Recruit on Asiajin] web-service mashup development contest award ceremony was held at Recruit headoffice, next to the Tokyo station. There were 259 applications filed, and 53 awards including 40 API providers’ awards were given. 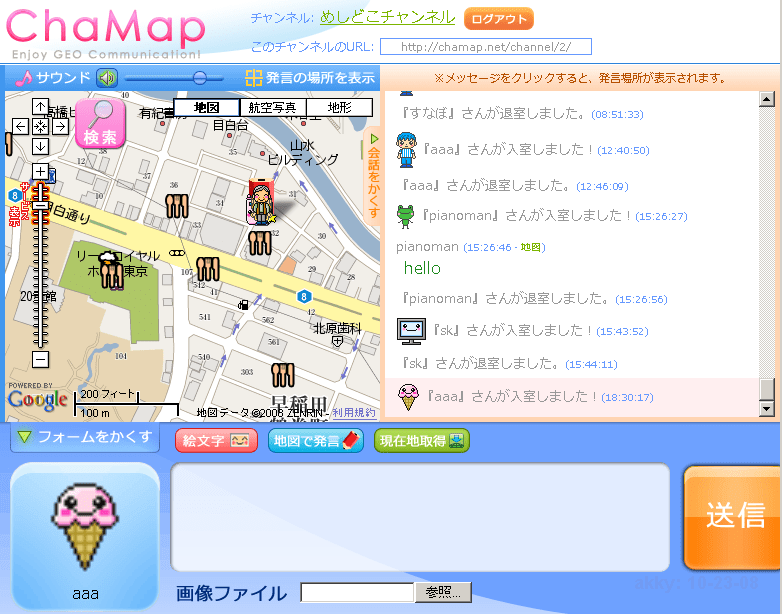 The Grand Prix was, Chamap, which integrated browser chat, Google Map and several different shop/restaurant API with cartoon style interface. Chamap was developed by freelance creator Kentaro YAMA. 1 million yen cash award (around 10,000 USD) was also received. I was invited as one of 4 external contest judges, following last year’s Yahoo! Japan’s API contest. Besides judging Grand Prix and 4 high awards (from 259. tough work), I was given a chance of giving an award under my name. 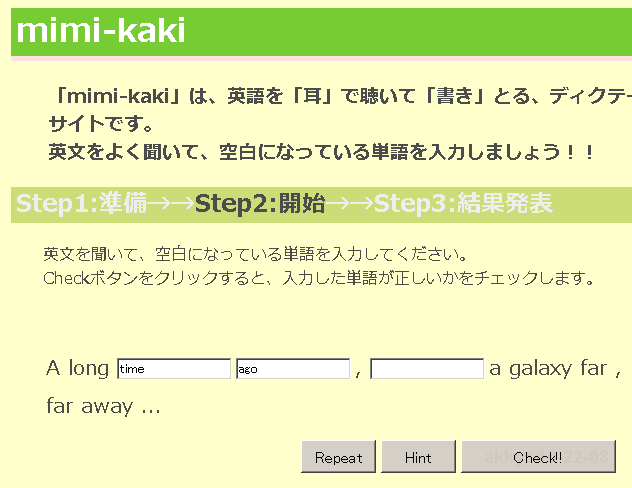 I chose “Akky Akimoto award” for Mimi-Kaki, English listening comprehension quiz using text-to-speech API. After-party was crowded with around 300 developers/designers/entrepreneurs with great atmosphere. It is a great chance for startups and individual to promote their ideas and services. I hope to see 5th contest soon again.